Summary: Carl Jung's study of psychology led him into mystical visualization practices. Swiss psychologist Carl Jung (1875 - 1961) was a leader in the study of visualization and the unconscious. Jung was a colleague of Sigmund Freud, and was fascinated by elements of Tibetan Buddhism. These influences led him to believe in a "collective unconscious" shared by all humans.i According to an online "Mystical Experience Registry," Jung "cultivated the ability to have visions from deep imagination. "ii While recovering from a heart attack, Jung had several visions, which have been recorded in a book titled Memories, Dreams, Reflections. Throughout Jung's visions and teachings, one key element is the fusion of white and black, good and evil, yin and yang. Salome, the daughter of Herodias in the Bible, is portrayed as the epitome of evil. The prophet Elijah, on the other hand, is seen as good. But in Jung's visions, we see that the two characters "had been together since eternity. "v These are occult Masonic philosophies. The Egyptian concept of ka distinguished a live person from a dead one. According to Egyptian mythology, the goddess of childbirth created everyone’s ka. She would breathe it into each child as they were born. ii. 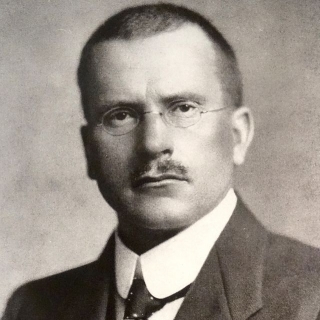 "Mystic Experiences of Carl Jung," Mystical Experiences Registry. iii. Carl Jung and Aniela Jaffé (ed. ), Memories, Dreams, Reflections (Vintage, 1989): 181-182.
iv. Paul Bishop (ed. ), Jung in Contexts: A Reader (New York: Routledge, 1999): 59.
v. On Image and Duality, Heidekolb's Blog (January 11, 2010). vi. Paul Bishop (ed. ), Jung in Contexts: A Reader (New York: Routledge, 1999): 58.
ix. Carl Jung, Memories, Dreams, Reflections, as quoted in Claire Dunne, Carl Jung: Wounded Healer of the Soul (Continuum International Publishing Group, 2002): 53.
x. "Ignatian Spirituality Conference at St. Louis University," SLU.edu.